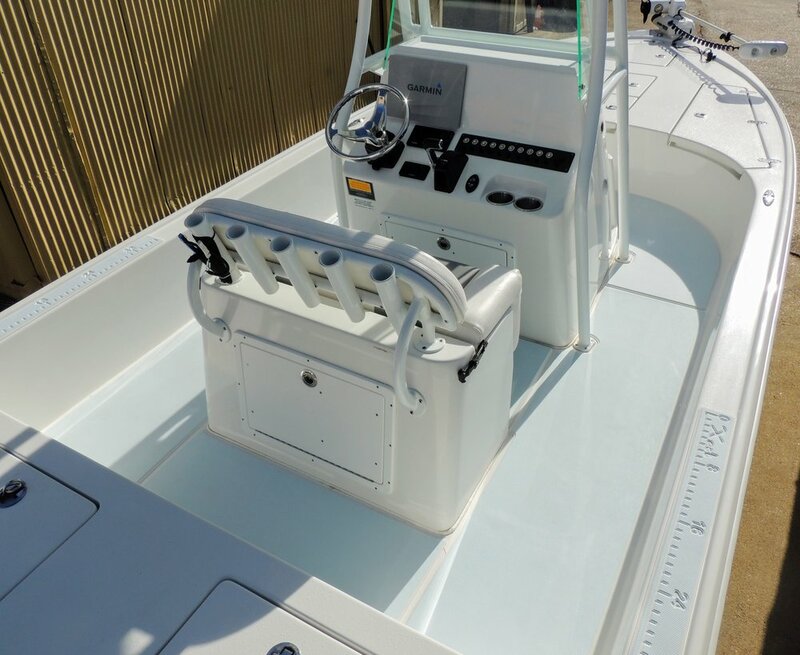 This custom SeaDek kit was created by our sister company The Boat Shop in Shreveport, LA. This is 8 mm Brushed Caribbean Blue over White. Dual Density Helm Pad - adds extra cushion for those drives out to your favorite fishing spot! Fish Ruler detail - one on each side of the boat.